Bintan mountain located in Bekapur, Village Bintan Buyu, District Bay Bintan regency in fact more similar to the hill, because the peak height is only about 400m above sea level. Why Bintan Mountain is special ? Bintan mountain located in Bekapur, Village Bintan Buyu, District Bay Bintan, Bintan regency in fact more similar to the hill, because the peak height is only about 400m above sea level. 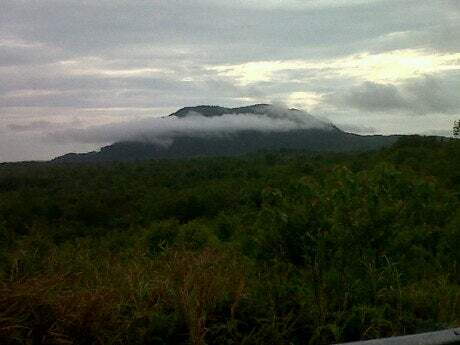 However, this hill is the highest mountain in Bintan island. Top of the hill can be reached only in about 2 hours. The height of the mountain is probably nothing compared to the mountains on the island of Java, Gunung Bintan (Bintan Mountain) has an important role for local communities, namely as an attraction excursions and water catchment areas. 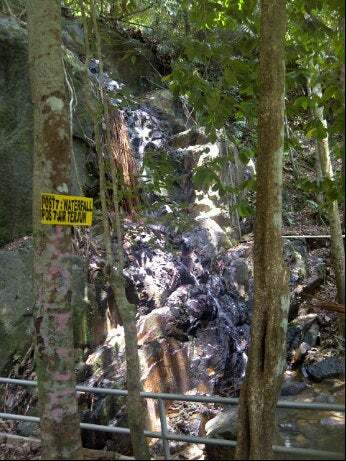 Bintan Mountain is also protected ecosystem that still maintained its authenticity, both aspects of the flora and fauna. What to explore at Bintan Mountain? Visitors will find many interesting things during climbing this mountain. Mountain peak is only two hours by foot holds the charming beauty of natural scenery. From the top of the mountain, visitors can enjoy the beautiful scenery around the island of Bintan. As a tropical rain forest, Mount Bintan also store a wealth of flora and fauna typical. You can see a variety of tropical plants and giant trees that serve as a buffer forest from the threat of erosion. 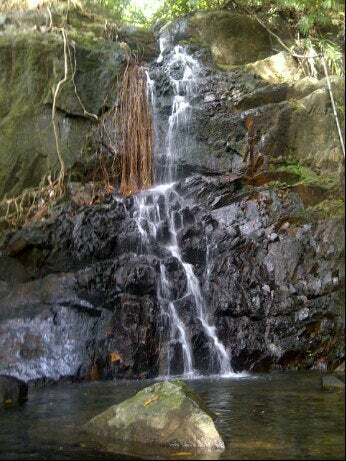 Once satisfied combing the natural beauty of the mountain, you can also complement on tour to waterfall at the foot of this mountain. This place is often used by visitors as a place to stop by after a tired along this tourist area. How to get to Bintan Mountain? Arriving to Tanjung Pinang, travelling about 55 miles to Mt Bintan can be reached by taxi or rental car. 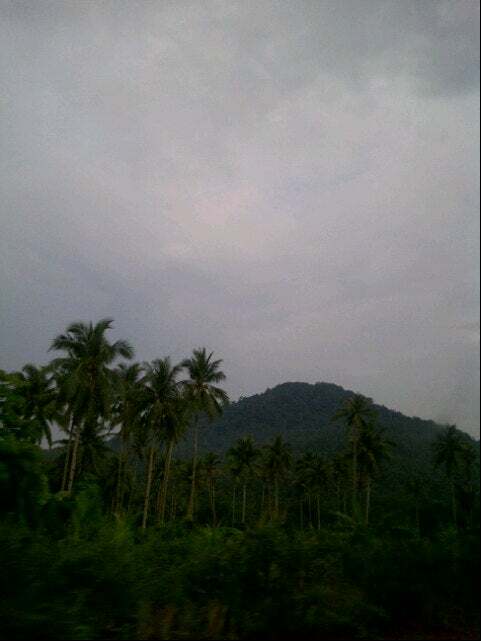 Location of Mount Bintan is right in the middle of the island of Bintan, supported by road conditions are good, making the journey to this mountain is easy. Foot of this mountain there are also many orchards the population, ranging from durian, rambutan, mangosteen, duku etc..
During the rain, you should be careful because the trail is very slippery and wet. The way down is more difficult, so you should make your way slowly, and make sure your steps are steady. At the entrance, there's trek map showing stop spots during your hiking on this mountain. You should take a look on it before you go. At the time of the fruit season, of course you can buy the fruit here with a cheaper price than the market and new because it tastes better in picking from the tree. Ropes are tied along the trail so it's easy to navigate in the initial trail. When you are in the top, there is a tower perched on top of the summit for a wondrous view of the sea.